We have finished our alphabetical Marathi journey, and it was so much fun! For those who joined me late, there is a section called "A to Z of Marathi Food" conveniently placed in the drop-down "Recipe Index" in the right margin of the blog, so that any letter can be looked up easily. 1. Time it took to cover the alphabet: 6 months (11th September 2005 to 11th March 2006). Why did I do this series? I have a deep love for regional food. The kind of food that you cannot buy in a generic restaurant. The kind which requires an invitation into someone's home, where it is made by loving hands and served with pride. I always wanted to represent Marathi food on One Hot Stove and while thinking about this on a long subway ride (the "6" train downtown if you must know), two quintissentially Marathi dishes that came to my mind were "amti" and "zunka". Hey, wait, that's an A and a Z! How fun would it be to make a dish from every letter of the alphabet? I pulled out a used envelope and a pencil from my purse and scratched out all the letters and started jotting down possible recipes to make. To my surprise, it was very easy to fill up most of the alphabets (save I, J, O, X, Y...you know I had to "cheat" on these). But would anyone be interested? I tentatively wrote the "A" post and was startled by the interest shown by many readers...and the rest just followed on its own. Why did I choose the recipes that I did? I am a home cook, with the task of making everyday meals. By this criterion, I chose recipes that were easy, tasty and nutritious. Which means that I did not make many sweets (like ladoos and pedhas), fried foods (of which there are dozens) and elaborate preparations (like bakarwadi and puran-poli), choosing instead to make simpler preparations that are ideal for everyday meals. Some of these dishes are unique to Marathi cuisine while others are popular in different parts of India in one version or another. It was amazing to discover this "unity in diversity"! Is this the end of Marathi food on "One Hot Stove"? Absolutely not! I am not going to do another series on Marathi food (not just yet, anyway), but will continue to try many new Marathi recipes and share them with you. A few weeks ago, I was invited to my friend SR's home for dinner. 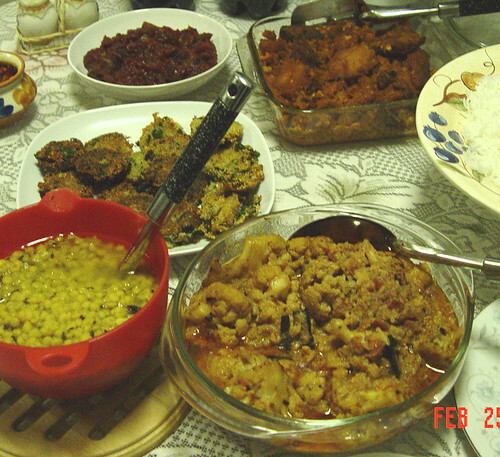 SR lovingly prepared a complete vegetarian Bengali feast...Clockwise from bottom right, you can see (a) Cauliflower curry (b) Cholaar dal (chana dal) (c) posto'r bora (poppy seed-potato patties) (d) Tomato chutney (e) Dhokaar daalnaa (chana dal squares in tomato gravy) (f) steamed rice. All the flavors were so wonderful and exotic, I was left licking my fingers and relishing every morsel. This dinner really brought it home to me...I love regional Indian food and want to study it more closely. SR and I are from one country, but we find each other's cuisines so novel. After exploring my own regional cuisine, I am ready to spread my wings and explore the whole country. So my next series is going to be a journey through all of India, stopping in every region and talking about its food and culture, learning some new recipes and tasting some new flavors. I want to make a little map where we can track our journey as we go along, down the west coast and up the east, then into the interior. Would you like to come along on this all-India foodie trek? Life in the next several weeks is going to get busy for me...I am about to take a ride on the matrimony pony. Yes, V and I are getting married on the 12th of April in India. We are both also reaching career milestones: V will defend his doctoral thesis and earn his PhD in two weeks, and I am in the final months of my own doctoral research. In light of this whirlwind of events, One Hot Stove will be quiet for several weeks. I am going on a blogging hiatus till the end of April or so. I will be back with lots of foodie pictures from my India trip. If I get time, I'll stop by with some short posts for sure! Ciao! Hee, hee..I raise my hand. I have been busy too, just barely managing to skim through the blogs, but had to peek in here and say "CONGRATULATIONS"! Will wait for you to return:) I am sure he is one lucky guy!!!! I was guessing right then because you have mentioned V in some posts. Congrats on your Phd and marriage. The round-up is awesome. Your menu ideas are fab. I am speechless. Come back soon, now! Wow that was one great journey, waiting for ur next one. ANd congratulations dear, V must be the luckiest guy on earth. Beat wishes for ur marriage.Hope u have a great time in India . Your roundup was awesome... Looking for more series after the wedding and honeymoon. hi nupur.....i do ! errrr, i mean i do want to join you on yr trip thru the nation 's various cuisines. wow ,thats something to look forward to. come to bom soon, we're all waiting eagerly. [we translates into -- various cook books, restaurants, food malls and i]. all the best to you ! luv, yoma. Hi Nupur - what a great way to finish up your fantastic A to Z series! I was reminded of some dishes I haven't yet tried, so I'll have plenty of new recipes to try while you're gone. I'll miss you so much, but I am so happy for you. I hope when you're back in India in the company of your family and friends (with all the craziness of trip preparations, defense of theses, etc, behind you), that you and V will be serenely happy and have time to relax and enjoy yourselves. Congratulations!!! Congrats on finising such a great series of wonderful dishes.I hope you get the material on a CD so that I can make it into a small booklet for you. What exciting news - on all fronts! BTW I just had to laugh, here she is, the ambassador of Indian home cooking who's being married to another Indian IN India and she ends her post -- ciao!! Congratulations!! It has been a lot of fun reading your blog, and I look forward to you continuing it after your break. Congratulations on the upcoming wedding and the doctorate. Lots of exciting things to look forward to. Best wishes, and keep cooking from your heart. Hey, maybe you and V can do a series together?? What a wonderful roundup, Nupur! I want you to know once again that you write extremely well. Although I joined in late (somewhere in December), I enjoyed your series thoroughly. And I know that I am going to miss it, oh yes. By the way, I did guess that it could be your wedding when I read about the announcement. I too had noticed the curious mention of a certain V.
Nupur, do think you can post a picture of the 'jevnaache taat' at your wedding? Maybe you could ask somebody to click a snap for you. I think, that will be a nice 'P.S.' kinda post for Marathi food. All the best to you and V for the wedding! **Hand Raised** Congratulations Nupur! Wish you and V a very happy married life! Enjoy your trip and have fun at the wedding! I really enjoyed this series. Perfectly executed! Congratulations on your upcoming wedding! Your A to Z roundup is very impressive. What an accomplishment, as well as a fine contribution to the Internet and food blogging. Congratulations! And what a way to announce! I've followed the series regularly and Thalipeeth is my absolute favourite. Great way to finish and have a wonderful wedding. That's wonderful news! I'm going to miss your updates, but I'm going to be going back to read your entries from the beginning and will look forward to your return. Best wishes to you! Congratulations. I'm very happy for you. What a wonderful job you did on the series. Can't wait to see what your next blogging adventure will be after you get settled into married life. I have been following on your blog for quite some time and although I meant to leave comments, never got around to do that...but at this point...just had to write a note to you.. The series was really very well done and I enjoyed the nostalgic memories of Maharashtrian food(I grew up in Pune) ..
Heartiest Congratulations to you and V on the impending nuptials ! Here's wishing you a wonderful married life ! Nupur, congratulations on so many things I dont know where to start! :) Congrats for finishing the A-Z series (the first of many, we all hope), congrats on doing it so darn well, congrats on yours and V's doctoral theses, and most of all, congrats on your upcoming wedding - here's wishing you the very best for your future together! Congratulations Nupur on your wedding and also the doctorate. I have been following your blog since the past couple of months and it has been a lot of fun and learning. Do keep up the good work. What an accomplishment! Your roundup is a cookbook unto itself. Congratulations to you and V on your wedding and excellent academic events. We'll be looking forward to your return. Hearty congratulations to you and V. Looking forward to seeing you (via blog) in April. I must say that I had a great time reading you blog and trying out some of the dishes at home. Congrats Nupur! !, Wish you the very best in your life!! Congratulations on getting married! And what a wonderful blog :) I cook mostly mediterranean and eastern european, so Indian cooking is completely new for me. Sure I love to eat it, but I've never cooked it myself. I can't wait to explore your recipes and learn more about your wonderful cuisine. Nupur, Congratulations on your wedding, graduation and A-Z series successful completion! God bless you! Hi Nupur, first of all, many many thanks for a fascinating series on Marathi food. I've loved every single installment! And second, my heartfelt congratulations on your upcoming marriage, how wonderful! Can't wait to see you back here after your well-deserved break. Congratulations! Love, Peace and Good food to you! That is so cool! Have a great wedding. Heartiest congratulation for all the happiness soon on your way! A keen reader and a first time commenter. I've enjoyed your A-Z series immensely. I'm from Bangalore originally. Your engaging style of writing, not to mention the wonderful pictures, has encouraged me to try recipes that would intimidate me. I look forward to the India food trek. Best wishes for your wedding. I am first time poster, but have been following your blog for a couple of months. I really loved your A to Z of Marathi cooking. In addition to your recipes its your presentation that blows me away. Congratulations on your upcoming wedding. What prompted me to post was that even I am getting married on the 9th of April and both me and my fiancee are doctoral students trying to finish up :). I cant wait to see which cuisine you tackle next in an A to Z series. Congratulations and best wishes for a long and happy married life. Congratulations Nupur ! Waiting for your next series. Please do post pics (and recipes of course) of your wedding feast. Hearty congratulations to you and V, Nupur! !, Wish you the very best in your life!! Congrats to u and V for the great new life ahead and also for ur career milestones! Its great to be reading ur blog from time to time and get lots of useful info n tips especially when I am confused in the kitchen! Looking forward to the cuisines of the rest of the regions of India too! Do also write a post on the shaadi feast, I am sure it will be great fun to read that and see its pics! Congratulations! And double congratulations! Happy and safe trip, too, to India and back! Hey Nupur -- congrats for everything .. the marriage and the wrapping up of the thesis. While you are in India .. I am assumuing you will be going to Kolhapur .. so don't forget to visit Solanki's!! Congratulations Nupur! I love Maharashtrian food.Thank you so much for the wonderful recipes. God bless! i love fried okra. actualy, one time i sliced it up thinly and deep freid it to makr it crisp... then served shrimp over it. very tasty! well i havent read most of the recipes. however, here are three bows to your efforts. *bow*, *bow* and *bow*. by the time you are back, maybe I would have tried a dish or two..... have a great trip home. I'm a marathi mulgi from Mumbai and read about your blog in a magazine. I have to tell you, I am totally hooked on to it. Growing up in a cosmopolitant city, my folks always feared my sibling and I would lose our marathi touch. But that's a thing of the past coz we still are very marashtrian in our eating habits. Your blog is wonderfully written and the recipes are exactly like the ones made in our home, just like they were passed on from my grandmother. My mom's really happy I'm taking notes from here coz she believes I will FINALLY be able to keep my future mother-in-law happy. Lol. Speaking of which, congratulations on ur marriage and the doctrate. Hope to see u here very soon. Thanks! What a wonderful resource! Thanks so much for this. I am a chef in San Francisco and I find great inspiration in your blog. Thanks for all the great stories and recipes. It was such a kick finding this website, and looking at such beautiful examples of all these meals I've been eating most of my life (but not the last few years, as I'm studying abroad). I'll be trying your recipes out once exams are done! I wish you all the very best on all fronts. It was great reading your blog and hope to see it continued when you get back. I also look forward to all those pics you mentioned from your trip. Thanx for taking part in my little game too, however you forgot to leave your address. if you guessed right I would have no-where to send you the little gift! Anyway, I'll save it for you and when you have time you can write to me and let me know! thanks Nupur - your recipe has made me one of the favourite bahu of my aaje sasubai and chulat sasu bai. Thanks a million. Hats off! !1 Unfortunately, I have an ordinary hat and not a chef's hat. Congragulations on ur marriage and ur phd too. Wow this is an amazing collection of Marathi food recipes. I am a marathi girl and cannot wait to try the recipes. Also, I would love to see some Diwali Faral - chakli, ladoo, karanji .... you know - recipes too! Congrats and wish u a happy married life. I chanced upon your blog thanks to Google and I think it is simply wonderful! Thanks so much for sharing your recipes with us. You have really taken a lot of effort and my family is sure to enjoy many an evening eating some delicious Maharashtian food! My search for Maharashtrian food brought me here. Excellent recipies & pictures. I have one request tough... tu kothimbir vade karnar ka? former mumbaiite here. i've got keralite roots, but will always consider maharashtra as my home. your solkadhi, waran and other recipes comfort me when i am homesick. 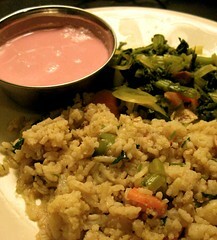 your blog has given me the courage to re-try some recipes that i had royally messed up before - like sago khichdi. best wishes and gratitude from one maharashtrian to another. i blog-hopped here and am thrilled to see your A-Z lineup - I realize this is a very late comment..but I had to drop a line..
My roots are Maharashtrian, altho we have retained only some of the cuisine, a lot has been mingled with south indian. varan, kadi, ambat baaji are standard fare. it is wonderful to see the whole spread in one place, so I'll know what has been lost over the years! 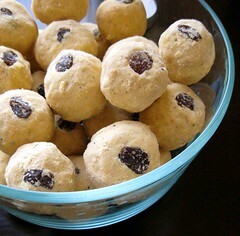 have recently discovered your blog while surfing for Indian recipes. Sadly, I cook very little- most of the ingredients are not available in Germany, and it's no fun cooking as a single. But I do enjoy reading the recipes, it makes my spaghetti with tomato sauce taste much better. There are some maharashtrian recipes I love- I could get them from my mother, but I want to see pictures and read about them. Can you cook kairi chi kadhi (raw mango kadhi) makya cha kis (corn kis) batatya cha kis (potato kis) and puran poli and some shrikhand? Once I have a proper kitchen, I'm going to teach myself to cook all the maharashtrian dishes I love. Oh, and one more thing- orya narya chi karanji (my all time favourite dessert!) My family teases me that I have such bhat palate! TU mazha sathi "Annapurna ahes".I am from mumbai only son of my parents and husband of my loving wife,So as usaual i have not even washed my dish .But as i am for a project in denver for atlest 2 yrs and my cant come to denver as my son is studing .you have given me a light to survive in USA.I ahve tried ur dishes and its great.but can you please add little details like time to cook each step. I was just searching some marathi recipes on google and i was a bit surprised to see your site....It may be difficult for u to remember me ... I am sharmila Gulavani's younger sister ...but i always remebered you as a intellegent friend of my sis..Am.currently in USA...just married so trying to cook and all the recipes are helping me a lot.. I love the cocktail from Imperial and felt really good looking at all familair Kolhapuri Recipes. 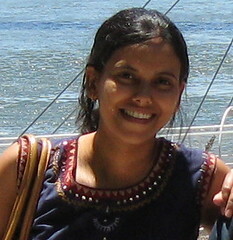 Dear Sheetal, of course I remember you! I remember you as the cute little sister of my friend :) Glad you found my blog. I was in touch with your sister for a while but we never did get to meet up since she moved to the US. Feel free to e-mail me and congratulations on your wedding! Just one doubt...if possible, can u make this site in marathi?? 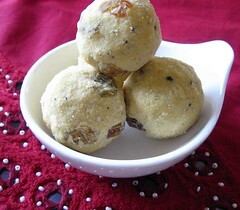 Nice blog dedicated to Maharastrian food. Can anyone help me with Rishi Panchami bhaji recipe? Amazing blog. As a PhD student at Georgia Tech, this is the only source of recipes of Marathi food that can be cooked in the USA. I mean, how are we expected to know that "bhendi" is called Okra ??? "Amchya hichya thalipithachi chav kassha kasshala nahi" - Pu La. Incredible blog, Nupur! I love your alphabetical regional cuisine project - especially the one on Marathi food, given I'm from Pune and live in San Francisco. I dig your writing style too. Terrific work! Thats a wonderful site and great job. It reminds me of a 2009 release movie Julie & Julia (Meryl streep). Keep it up. This is exactly what I was looking for. Thanks for this wonderful blog. काय पाककला आहेत .........आवडल्या आपल्याला .......!!!!!!!!!! Amazing blog, really good recipes you have given....thanks for sharing. Amazing food recipes are here! Thanks for such a lovely and tasty recipes.